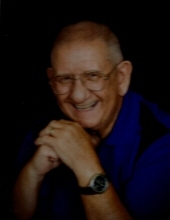 Phillip C. Pancake, age 79, died at his home in Rainbow City, Alabama on March 13, 2019. He was born February 6, 1940 in Danville, Illinois to George and Josephine J. (Puskac) Pancake. Phil was raised in Indianapolis where he attended St. Mary’s elementary school, which is where he met the girl he would marry some day! He graduated from Cathedral High School and joined the Air Force at age 17. He proudly served his country for over 23 years, stationed in many places including San Antonio; Tokyo, Japan; Albuquerque; Topeka; Misawa, Japan; Detroit; Takli Royal Thai AFB, Thailand; Del Rio, Texas; Myrtle Beach; Nakhon Phanom Royal Thai AFB, Thailand; Martinsburg, WVA; and his last assignment Hickman AFB, Oahu, Hawaii. Phil and his wife, Phyllis retired to Colorado Springs, CO where both worked at the Air Force Academy for 9 years. They moved to Mustang in 1990 and spent the next 25 years making friends and enjoying their wonderful community, both also retiring from FAA. When Phil became ill, they moved to Alabama to be closer to their son. Phil was preceded in death by his mother Josephine and one son Nick. He is survived by his wife Phyllis M. (Snyder) Pancake, sons Christopher and Phillip Andrew, daughter Mary, and eight grandchildren. Memorial service will be held at 1:30pm at the Holy Spirit Catholic Church, Mustang OK, on Thursday, March 28, 2019. Interment with military honors will follow in the Mustang Cemetery. In lieu of flowers, contributions may be made to the St. Jude's Children Research Hospital in Memphis. To send flowers or a remembrance gift to the family of Phillip C. Pancake, please visit our Tribute Store. "Email Address" would like to share the life celebration of Phillip C. Pancake. Click on the "link" to go to share a favorite memory or leave a condolence message for the family.